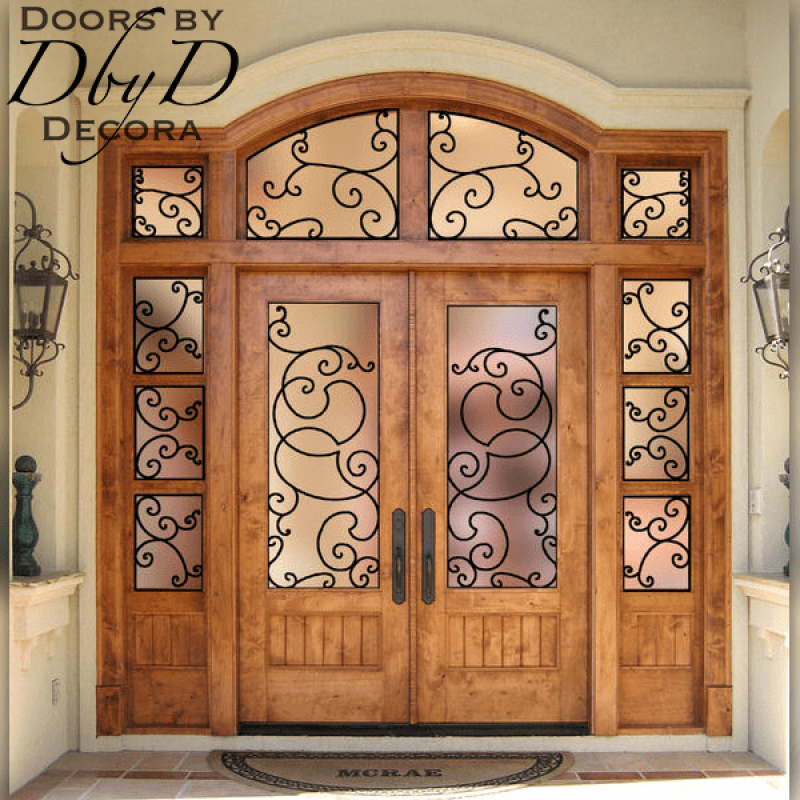 French Country designs can remind you of spending time on a sprawling European estate. 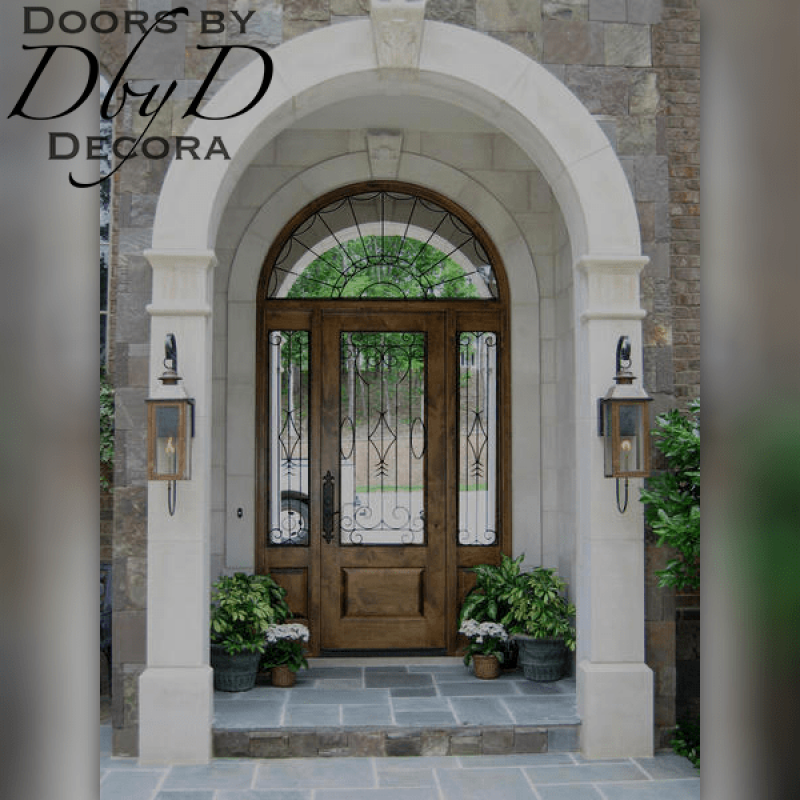 Like the graceful homes that grace these estates, our french country doors are elegant and stately. 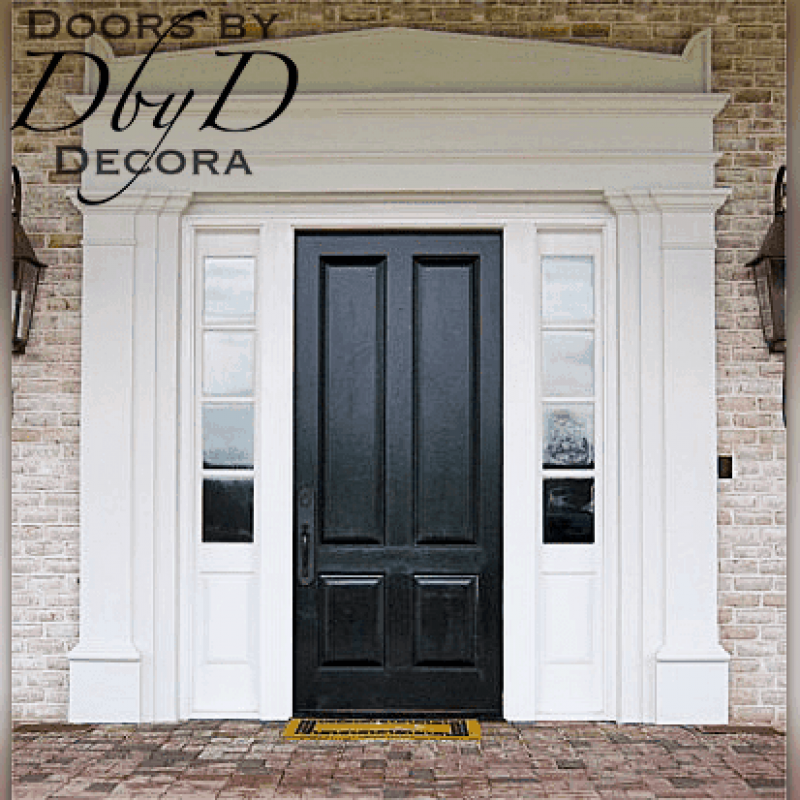 Doors by Decora’s french country doors are a fundamental part of our Country French Collection. 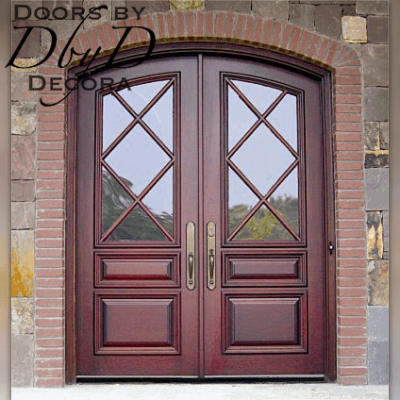 Many of these doors are inspired by the grand and stately country homes that dot the French countryside of Provence. 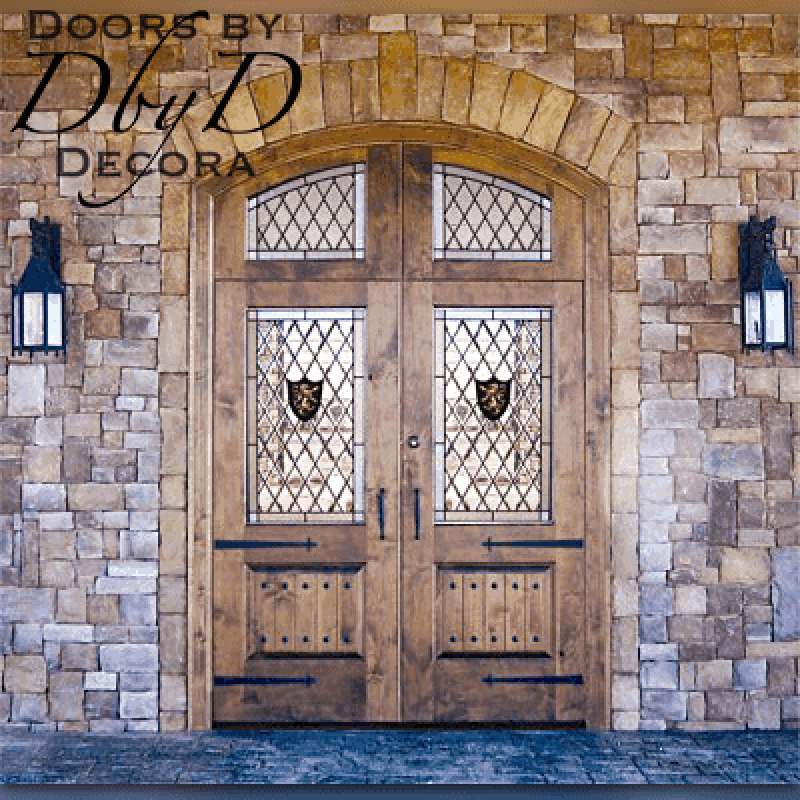 As you can see below, our french country designs can feature either classic, solid panels, or beautiful leaded glass designs. 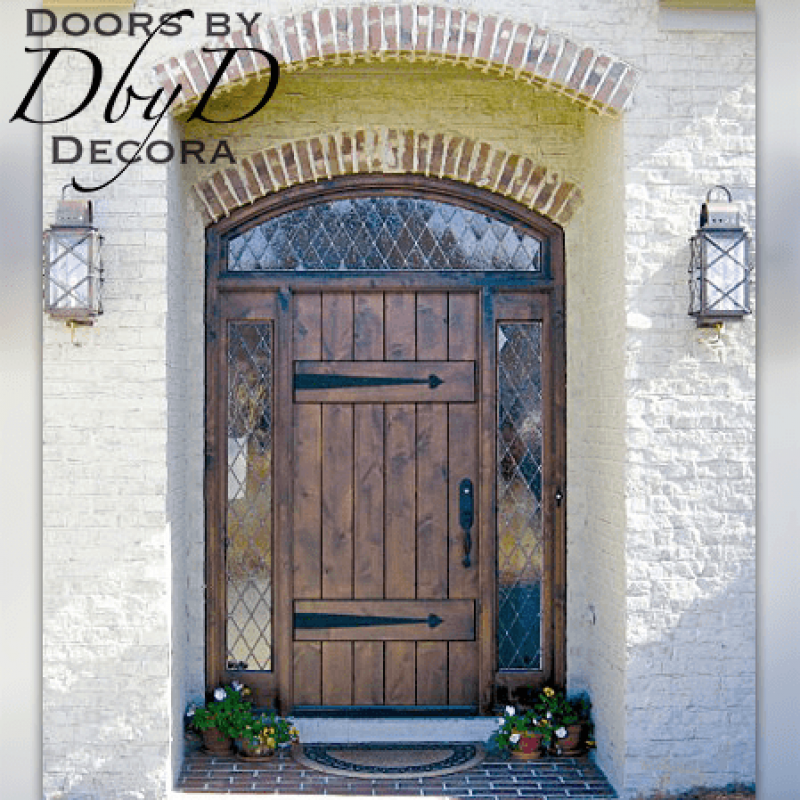 You can see some of our favorite french country doors below, or View All Country French Doors. 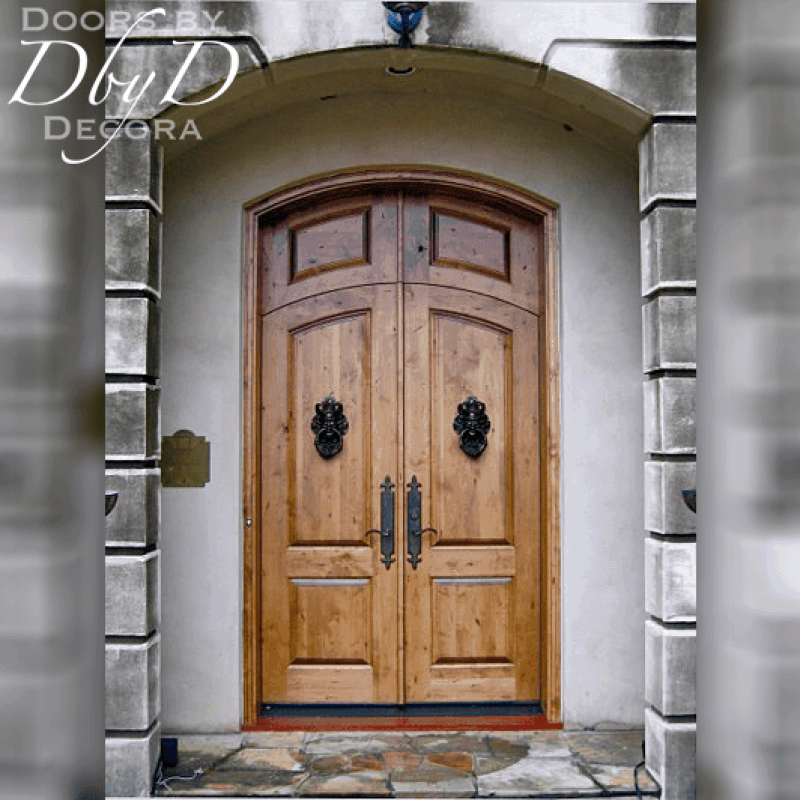 At Doors by Decora, we use many design elements so that our french country doors make you feel like you are standing in the French countryside. 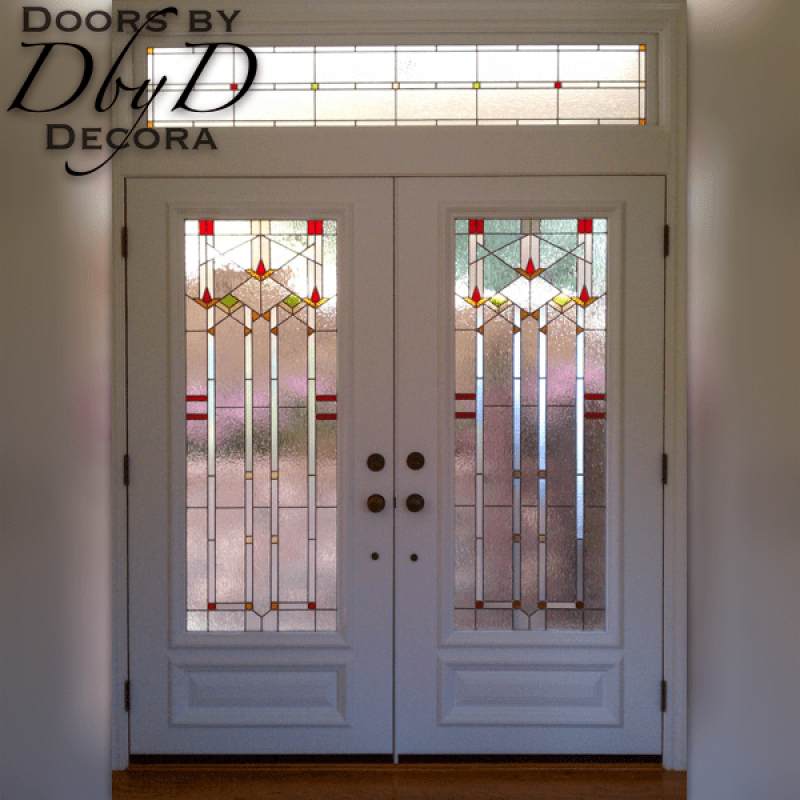 First of all, many of these doors feature beautiful leaded glass designs with soft, swirling lines. 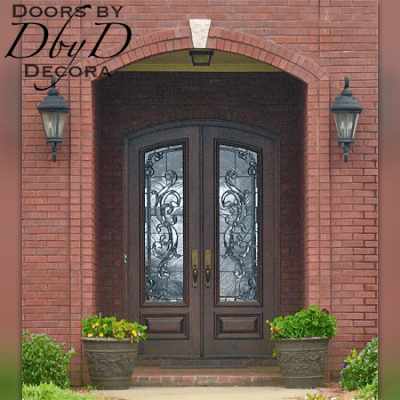 Due to the fact that we have our own in-house glass studio, we can custom design and build the glass for your doors right in our showroom. 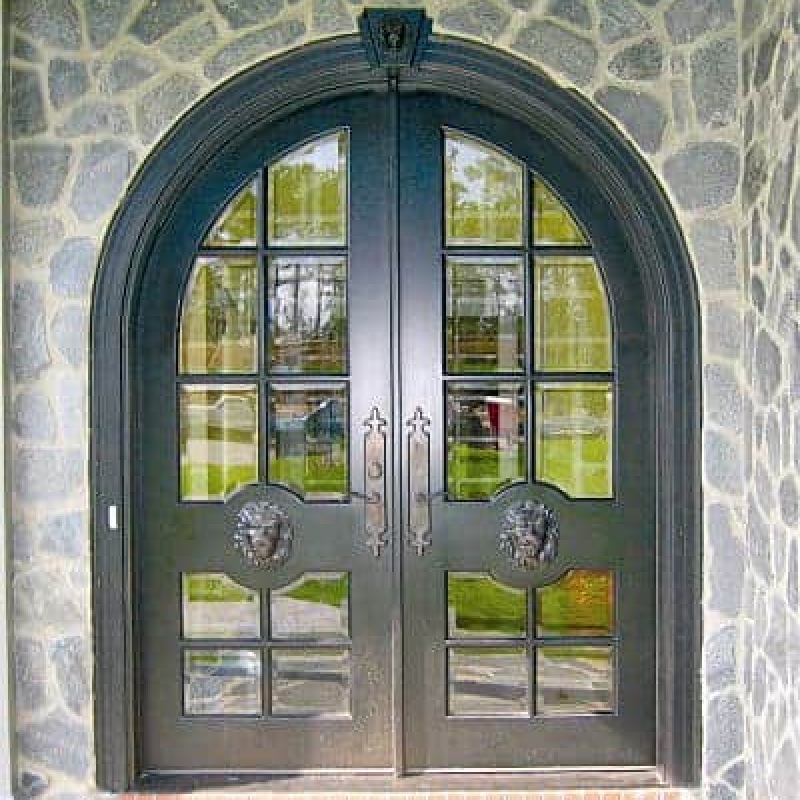 Another beautiful feature of french country design is the use of iron grilles as decorative pieces. 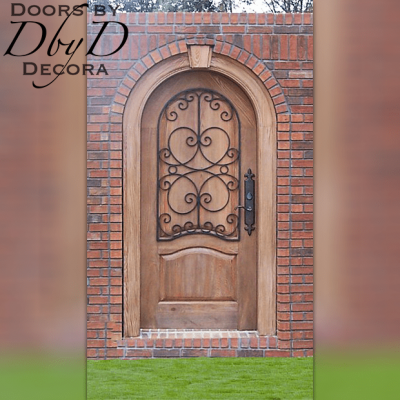 Therefore, we are fortunate to have our very own blacksmith who can design and create all of our iron grills. 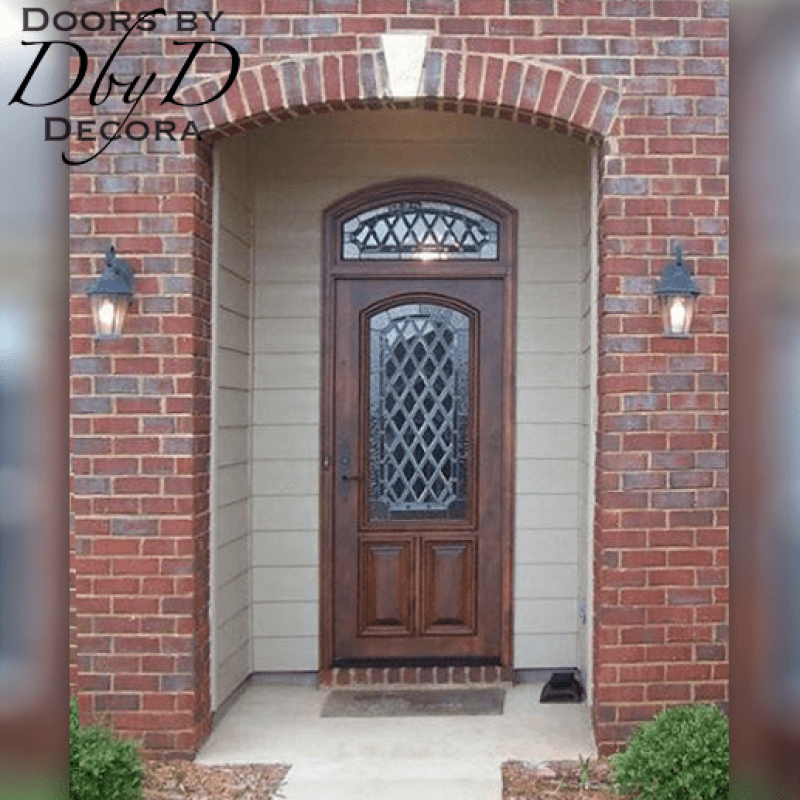 Whether you have a design in mind, or want us to design something spectacular, we’ve got you covered.